Nobody makes decisions in a vacuum. Our brains are constantly taking mental shortcuts — for better or worse — to help us choose between options. These shortcuts are known as biases. One organization that knows the power they wield is Vancity, Canada’s largest community credit union. Through its work with NLI, Vancity has developed a language for identifying bias and calling it out to reduce its effects. In an upcoming webinar, Petra Kuret (Vancity), John Horn (Vancity), and Khalil Smith (NLI) will discuss the science of unconscious bias and explore how NLI’s DECIDE™ solution helped 90% of Vancity participants feel prepared to start labeling bias day to day. Attendees will come to see how bias is not a “dirty” word, rather a normal part of being human. The question for leaders is, what steps are you taking to mitigate bias in your organization? John is Chair of the Board for CERIC, a charity purposed with advancing career development in Canada and is co-founder of ThePotentiality.com. John is passionate about initiatives that align co-operative economics, learning, coaching, and career development to build healthy communities that are sustainable for the long term. Petra ensures the organization focuses on the priorities and projects that will deliver the most value and impact – for its employees, members, communities and business. Petra has over 25 years of transformation experience helping organizations elevate the performance of their businesses and employee experience. 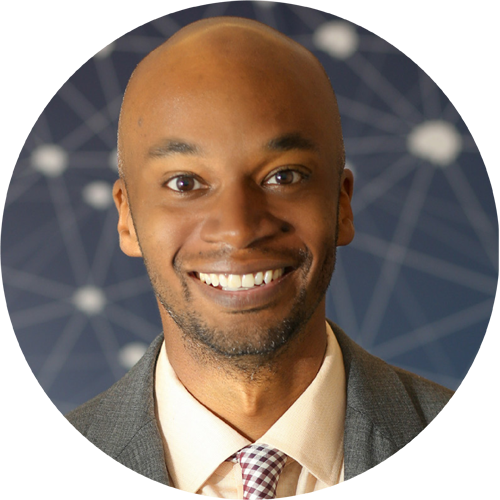 Khalil Smith heads up the Institute's Diversity & Inclusion practice. He brings over 20 years of business experience: specializing in creating a culture of learning and inspiration at Apple Inc., and demystifying group dynamics through the lens of social science as a consultant.